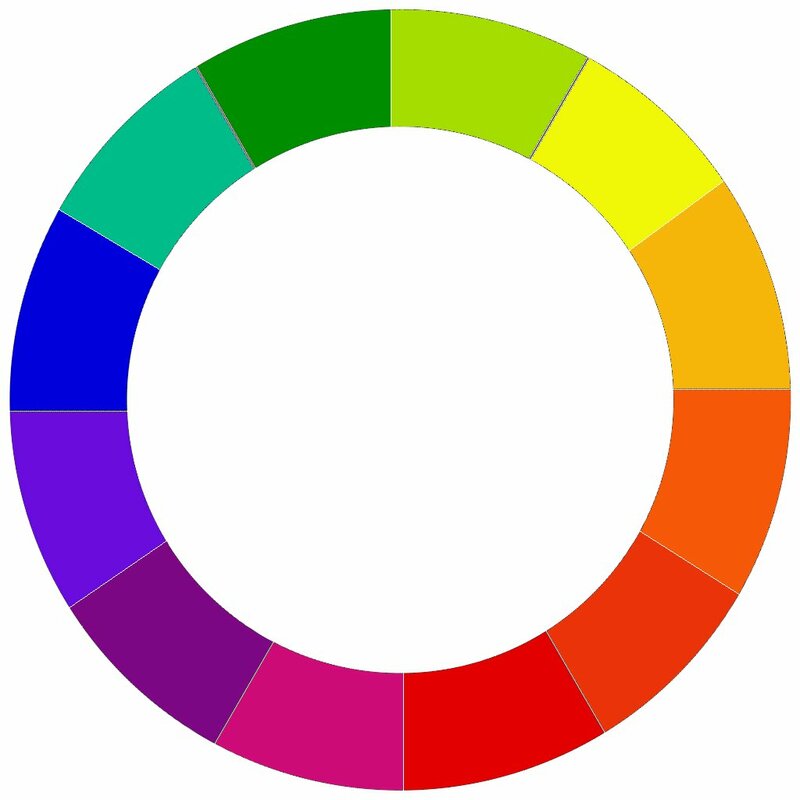 Tuesday we looked at the basics of a color wheel (Part I). Today we are going to jump right in and look at the theory used to select color schemes. Don’t despair if many of the colors we use today are a bit bright! We’ll touch on how to use the theories we learn and apply it to real life design next week. As a side note when naming tertiaries the convention is to use the primary first and hyphenate the secondary name, as in yellow-green not green-yellow. Using the full wheel we can illustrate a number of different ways to pick color schemes. Triad color schemes rely on make an equalaterial triangle through the middle of the color wheel. For example red, blue, & yellow are a triad, and also used heavily in children’s color schemes. In this particular triad I have picked a trio of colors that are reminescent of schemes based on the colors of India. Simply turn the triangle and use the ends as pointers to get a triad color scheme. Tetrad color schemes involve choosing four colors. Instead of a triangle we’ll use a square as the pointer in the color wheel. I promise it will come together to allow you real life design inspiration next week. Though the above color scheme reminds me of some of my outfits in the 1980’s if we want a real life example today. There are a ton of other ways to use the color wheel. Each have a rather fancy name like analogous or split-complementary color scheme. This wikipedia article has good text descriptions of many different types of schemes. Tune in next week when we wrap this series up by looking at how you can use these color theories to pick out a scheme to fit your next event.